Got arthritis? Keep moving! Physical activity, even for people with arthritis, strengthens muscles, keeps joints flexible, preserves good balance, improves function, and helps you maintain a healthy weight. While clearly defined physical activity is beneficial for everyone, so is the simple act of moving more. Find ways to move that are safe and enjoyable, set goals that are attainable, and be an active participant in your life every day. Need help? Check out our Active Living Resources…. It is recommended for adults with OA to get 2.5 hours of moderate aerobic (walking, running, etc) and 2 days of muscle strengthening exercise per week to improve pain and function. Always consult with your healthcare provider before beginning any physical activity routine, especially if you have special issues or multiple chronic conditions. Arthritis Foundation: Exercises for Arthritis – How-To’s on exercising with arthritis, arthritis-friendly workouts and videos, recommended activities and more. 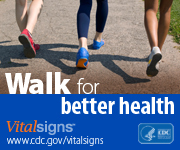 National Recreation and Parks Association: Arthritis Interventions – NRPA is proud to partner with the National Association of Chronic Disease Directors (NACDD) and the Centers for Disease Control and Prevention (CDC) to implement the Walk with Ease (WWE) and the Active Living Every Day (ALED) programs in communities around the country. Check out their Ingredients for Success! 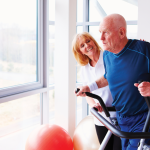 American College of Rheumatology: Exercise and Arthritis – Fast facts about exercise and arthritis plus recommendations for where, when, and how to exercise with arthritis. Fit and Strong! Program – a low-cost, evidence-based, multiple component exercise program. An 8-week program combining flexibility, strength training and aerobic walking with health education for sustained behavior change among older adults with lower extremity osteoarthritis (OA). Objective physical activity measurement in the Osteoarthritis Initiative: Are guidelines being met?